Trudy Griswold is a Spiritual life coach, teacher, intuitive, and author of the Angelspeake book series. She assists individuals in opening more fully to their highest and best spiritual potential. Guided by her spiritual support team, Trudy believes that everyone has a life purpose or special calling and it is her privilege to help individuals in realizing theirs. She teaches others how to access divine wisdom and love for their spiritual guidance that is needed in a life of service. As your guide, Trudy will help bring clarity, certainty, and an even greater connection to the world of spirit. Her work is rooted in a greater power and presence through a unique ability to communicate with spiritual beings in order to teach others how to receive their written messages. Once a divine connection has been made, you may then continue to receive messages for further guidance, comfort, and support. Trudy’s own message is but a simple one, “Ask, believe, let go, and then give thanks” to our spiritual support team. As a gifted clairvoyant and clairsentient, Trudy has taught thousands of individuals to receive written messages from their spiritual support team of Archangels, angels, guardian angels, guides, and master teachers, to name only some. She has devoted greater than twenty years of her life to supporting individuals on every level of spiritual development. Trudy continues to dedicate her life to spiritual coaching, spiritual development workshops, and intuitive consultations. 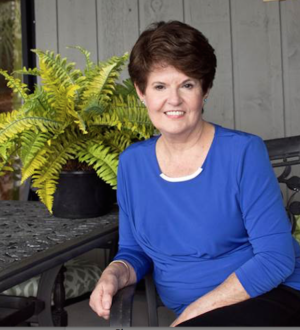 Trudy, with her late sister Barbara Mark, has written four bestselling books on spirituality: Angelspeake: How to Talk with Your Angels, The Angelspeake Book of Prayer and Healing, The Angelspeake Storybook, and Heaven and Beyond. Her first Angelspeake book is currently in its 25th printing by Simon & Schuster. Her work has been featured on Good Morning America on CBS-TV, a three-year running PBS-TV national documentary of an Angelspeake workshop, and numerous other television, radio and printed media. Trudy offers private consultations either in person or by way of telephone, conducts spiritual Mastermind Groups as well as various workshops, and angelic reading circles for groups throughout the U.S. Trudy lives in the west central coast area of Florida with her husband of 38 years and within a short distance of her young grandchildren. If you would like to personally connect with Trudy, please leave a message!